Terry was the son of a railroad worker who emigrated from Ireland. He and his six siblings grew up in the Bluff area on Vickroy Street, the site today of Duquesne University. As a young boy, Terry, was nicknamed “Red” because of his hair. He attended Central Catholic High School and met his future wife, Renie, on the trolley car as they commuted to their respective schools. They married in 1962. After graduation, Terry spent two years in the Army, earned an associates degree from what is now the Community College of Allegheny County, and then went to work in the mill. When he got laid off, Terry took the test for the police academy and then followed his older brother, Danny, joining the Pittsburgh Police Department in September 1965, the beginning of a 33-year career. Terry worked in uniform in the Hill District and moved into narcotics in the 1970’s, investigating many heroin cases. He worked in narcotics for 14 years, experience that served him well in homicide. Over the years Terry gained a reputation as a leader. His police work was described as “outstanding” and he eventually found himself as the senior homicide detective in Pittsburgh. Terry retired, from the Pittsburgh Police Department, in August 1998, but he went right to work with the District Attorneys Office/Investigations. Terry retired, after 10 years with the DA’s Office, in March 2008, as the Chief of Detectives. Terry was proud of his Irish heritage. 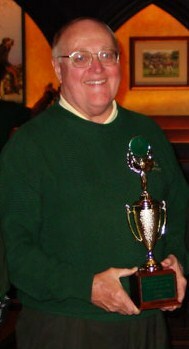 He established the Greater Pittsburgh Police Emerald Society and informally aided the Ireland Institute of Pittsburgh, which his sister, the late Sister Michele O’Leary, co-founded. Terry lived in Brookline and had two children, a son, T.J. of Pittsburgh, and a daughter, Christine O’Leary-Alleruzzo of Philadelphia. Terry was our founder and a good friend, whom we will all miss.